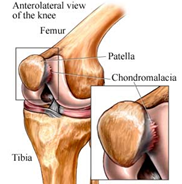 Chondromalacia Patella, which is sometimes known as “Patellofemoral syndrome” is abnormal softening of the cartilage under the kneecap (patella). Chondromalacia Patellae or Patellofemoral Syndrome, as it is sometimes known, is the result of poor alignment of the kneecap (patella). This process is due to weakness (neurological inhibition) of the muscles that support the knee, in particular the Vastus Medialis Obliquus. Chondromalacia Patellae usually affects young, otherwise healthy athletes; however, it can occur at any age. Once accurate diagnosis has been made, therapy should proceed without delay in order to avoid irreparable damage to the meniscus and/or other ligamentous structures supporting the knee. Dr. Morrison uses standard Chiropractic protocol combined with Applied Kinesiology to create proper alignment of bones and joints and muscular support of the knee. 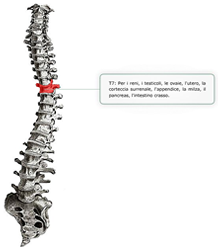 Home exercises are given when indicated, in order to prevent recurrence.